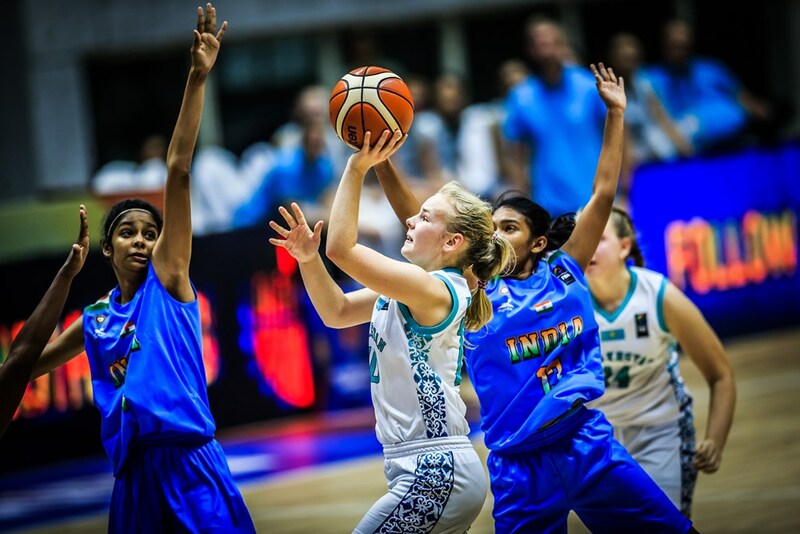 Bengaluru, 27th October 2017: The semifinals are over at the FIBA U16 Women’s Asian Championship and Team India will face Malaysia in the finals of Division B to get back into the Division A. In Division A, Japan will face Australia. India defeated Kazakhstan in the semifinals to reach the finals. In the last game of the day, we witnessed another dominant performance from team India beating Kazakhstan 77-40 in the semifinals. It was a slow start for India in the first quarter as compared to their previous game but they covered for it in the second quarter by outscoring Kazakhstan 27-9. India continued their lead towards the end of the third quarter as well, after which Head Coach Zoran Visic brought the bench players in to finish the game. Once again India’s star forward Vaishnavi Yadav filled the score sheet with some incredible stats recording 21 points, 15 rebounds, 7 assists and 3 steels. India had 4 players scoring in double digits, guard Neha Karwa added to the excitement with her dynamic style of play with 11 points from her. Centre Pushpa Senthil Kumar had a double-double of her own with 16 points and 16 rebounds. Captain Sanjana Ramesh led the teams’ defense with 5 blocks and 9 rebounds. India set to take on Kazakhstan in the semifinalsIndia crowned as the champions of division B of the FIBA U16 Women's Asian Championship 2017; Winning Bonus Announced for Team India.